The back story: we originally booked for our actual 20th wedding anniversary on the 30th October. 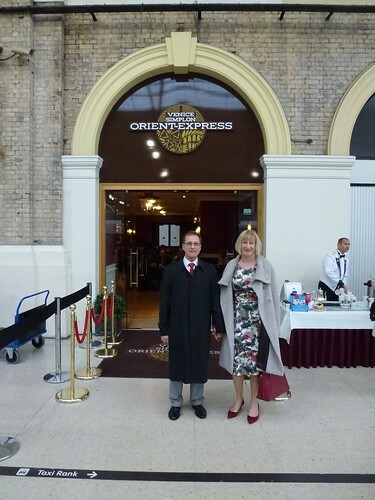 Since the schedule was Venice to London we didn't fancy returning home as the culmination of the journey. 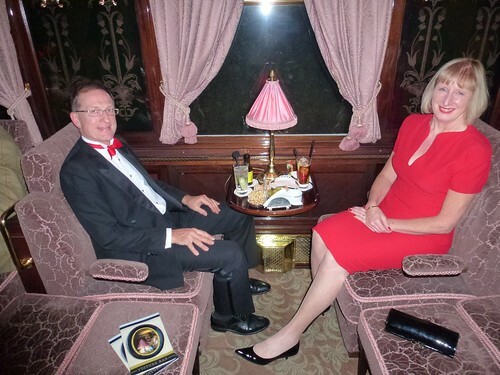 Instead we booked a half journey Venice to Paris with the plan being a couple of days in Paris before returning home. A friend of ours said that you got a 25% discount with Nectar. We were dubious but so it turned out: 25% off a big number is a big saving - that is some serious money (http://www.nectar.com/spend/orient-express.points). A couple of weeks later Venice Simplon-Orient-Express wrote to say that journey was cancelled and, if we cared to rebook, they would give us a further 20% discount, Shedding crocodile tears, we booked the full London to Venice on the the 31st, the anniversary of our honeymoon instead, at a total 45% discount - result! 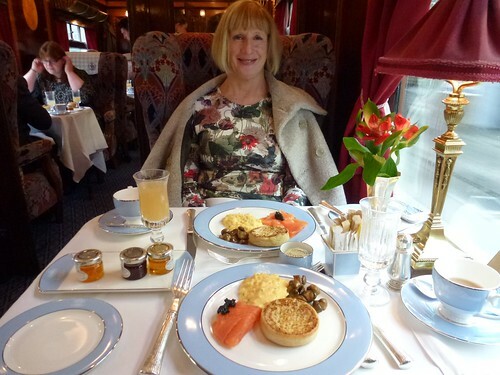 The first part of the journey is 30's vintage British Pullman - Victoria to Folkstone with brunch. 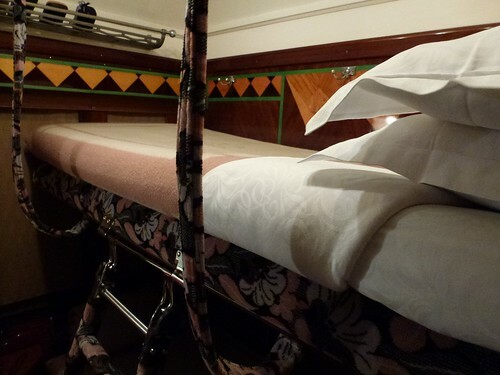 The carriages are all restored originals full of wonderful wood panelling. 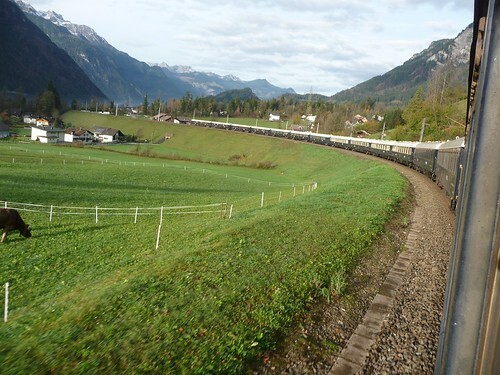 At Folkstone we transferred to executive coaches to cross the channel via Le Chunnel. 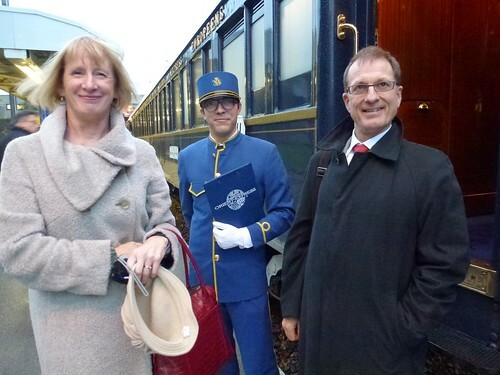 On the French side we boarded the Orient-Express proper. 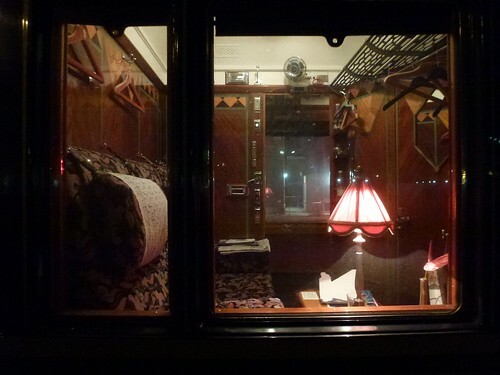 The train consists of three restaurant cars, a bar car and about six sleeper cars plus kitchen and staff accommodation. We found a complementary half of champagne in our cabin to sip until it was time for cocktail in the bar and dinner in the restaurant. Isn't this dining room fabulous? 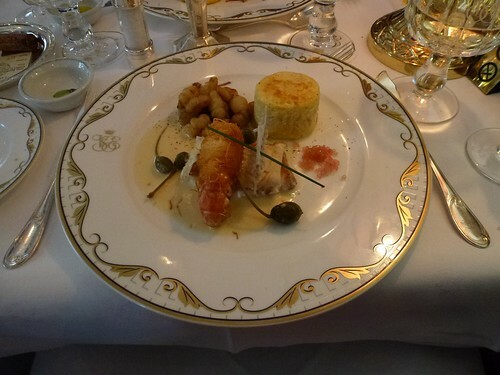 Dinner was lobster, the tenderest fillet steak I have ever eaten, cheese and a dessert, then a digestive and chat with fellow celebrants in the bar afterwards. Friends will not be surprised to learn that we spent the discount money we saved on the wine list. In our cabin the seating converts into bunk beds. The corner of the cabin has a cupboard containing a washbasin for basic ablutions. 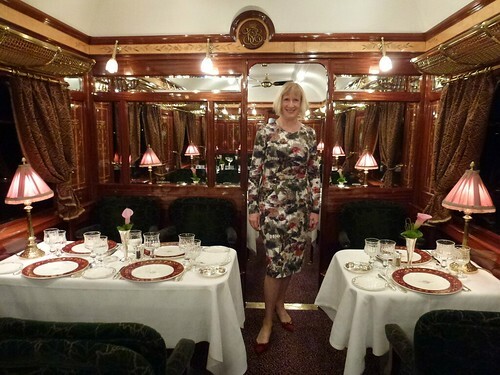 The loo is at the end of the carriage. A full shower will have to wait till we get to the hotel in Venice. The next morning, after breakfast in our cabin, we watched the alps slide past our window. They changed engines at every border otherwise they'd end up with French engines in Italy. Then it was time for a three course lunch with more fine wines. A bit of a siesta followed by afternoon tea and cakes until we arrived in Venice for detraining and a water taxi transfer to our hotel. People ask "Was it worth it?" The answer has to be "Yes". This experience is, as they say, not available in the shops. Unique.